Celebrating 20 years of professional dominance. Moët & Chandon recently unveiled its limited-edition champagne collection aimed to honor 20-time Grand Slam champion Roger Federer and his historic 20 years of professional tennis dominance. 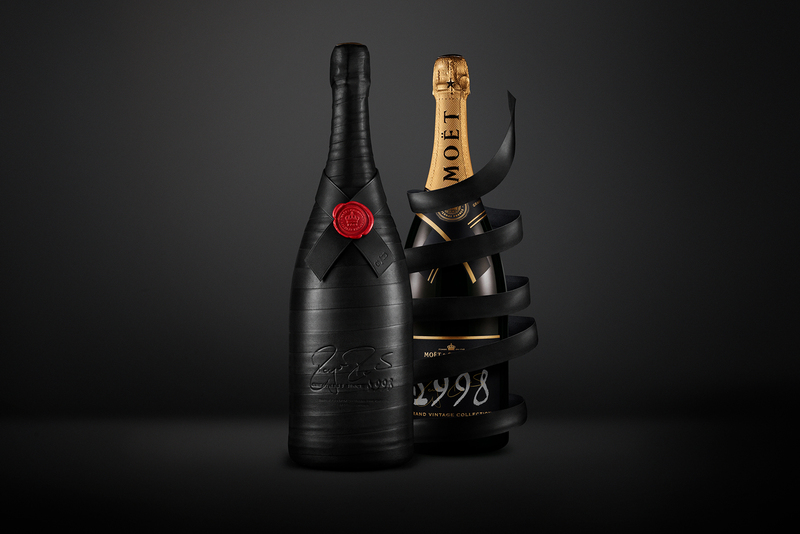 The “GREATNESS SINCE 1998” collection is comprised of Grand Vintage magnum bottles that have been designed and bound in a premium leather racket grip, signed and numbered by the man himself. Priced at $24,000 USD each, only 20 bottles will be available worldwide with all profits going to support the Roger Federer Foundation — an education-based initiative serving regions of South Africa and Switzerland. All orders will be made-to-order through Moët Hennessy’s boutique on July 1. For more information, be sure to drop by Clos19. In related news, a $2.11 million USD whiskey sets new world record for the most expensive bottle. Testing testing 1, 2, 3. The cult status character gets his origin flick.